Bukit Mertajam is a small town in Penang, located in the Central of Seberang Perai. ETS train to Bukit Mertajam is the locals’ preferred way to travel back to their hometown for those who work outside of Bukit Mertajam. There is no airport in Bukit Mertajam and the nearest airport is the Penang International Airport in Bayan Lepas. Therefore, taking flight would be a hassle to travel to the town. Taking ETS train is more comfortable compared to bus and you can save a lot of time from the traffic especially during festive seasons. Booking your train tickets to Bukit Mertajam online enable you to secure your tickets in advance besides saving the time and cost to go to the train station. ETS train to Bukit Mertajam is a part of the train service going to Butterworth so the tickets can be selling fast especially for ETS train from KL to Bukit Mertajam. * Duration might not be accurate and is only for your reference. Changes to fares are at the discretion of the ETS operators. 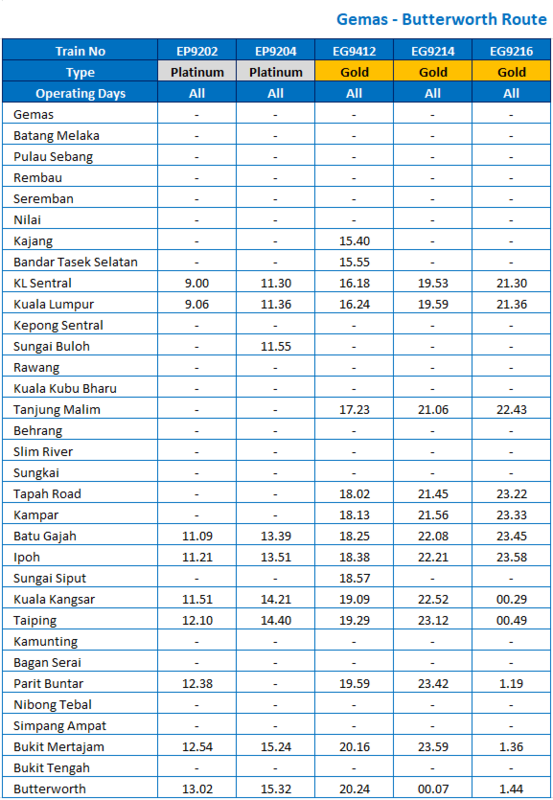 You can check other available routes for ETS train to Bukit Mertajam on our Train Tickets page. Train to Bukit Mertajam is a part of the Gemas-Butterworth-Gemas route. There is only ETS Gold and ETS Platinum available to go to Bukit Mertajam. Bukit Mertajam Railway Station or Bukit Mertajam Train Station is located in the middle of the town, so it is not so far from the town center. Usually, locals who take train to Bukit Mertajam will have family member or friends to pick them up from the train station. However, if you do not have anyone to pick you up, you might want to catch Rapid Penang bus No 802 to take you the town center. To catch the Rapid Penang bus, walk out from the train station area and head to your right. There is a small bus stop for you to wait for the bus. The train is comfortable and suitable to facilitate senior citizens and OKU or the disabled. The train is also equipped with CCTV for safety purpose. Passengers can find F&B bar in coach C to get some food or drinks. There few seating areas for the F&B bar customers in front of the counter. Toilets are in coach B & E. Toilet for the disabled is in coach D.
For muslims, Surau or Musolla is in coach C, nearby the F&B Bar. Bring a sweater or anything similar to keep you warm as the train can get pretty cold after few hours of journey. Also, book your tickets in advance especially during the public holiday as the tickets can be selling fast in these times. Booking your tickets online at BusOnlineTicket.com can ease the process besides saving the time and cost of going to the train station to buy the tickets. Easily Book Your ETS Online Ticket to Bukit Mertajam Now!